With iTunes on your MacBook at home, you’d love to listen to your tracks at work—on your PC. But Apple won’t have it your way, and you’re stuck pulling out your iPod, or worse: sitting in office silence. Alternatively, you’ve just bought yourself a new Kindle Fire and would have tried streaming your iTunes library to it—but like the Android, or your iPad, or any other device: nothing speaks the same language. That’s why we designed MyMusicCloud as a music storage and delivery solution that works with any and all devices. It all started when I found myself shopping for a new phone in late 2004. I won’t name the provider, but this was well before the iPhone…before cloud music storage…even before apps. The upshot? I found a phone I wanted, but I felt constrained in how I could share common, everyday media (i.e. photos of my kids) with my family abroad. With one phone, I could email them. With another, I could IM them. The situation was so rigid: I had no freedom of choice. I have a tech background, and there’s nothing I believe in more than freedom of choice. That’s when I decided to design MyMusicCloud to speak with all devices, so that you wouldn’t be limited. MyMusicCloud allows you to choose your device first, and bring your music along for the ride. 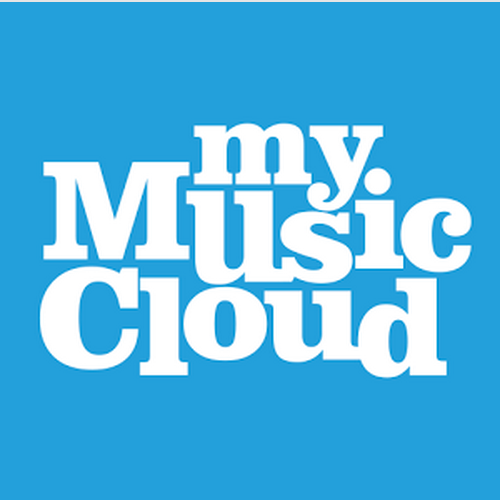 MyMusicCloud syncs your music library from any device to any other—regardless of brand or operating system. Through MyMusicCloud, you can install your music library on an Android, BlackBerry, Nokia, iPhone, Mac, PC, tablet, or a feature phone. By downloading your songs to up to two desktops (iMac, PC, laptop), and two mobile devices (tablet computer, Smartphone, any cell phone), we made sure your music would reside directly on the desktop(s) and device(s) you’ve chosen—both online and offline. You’ll be connected to continuous music at home, on the subway, and up in the air, with or without a WiFi connection. The agenda belongs to you—not a huge company. You have the right to decide. Only when you use a computer that’s not your own will you need to use MyMusicCloud’s streaming function. If you’re at a friend’s house, sign in on their desktop or mobile device to begin streaming your library. Literally bring your music to the dinner, party, family gathering, reunion, client office, or wherever it is you find yourself—you can even stream your music library to another country.